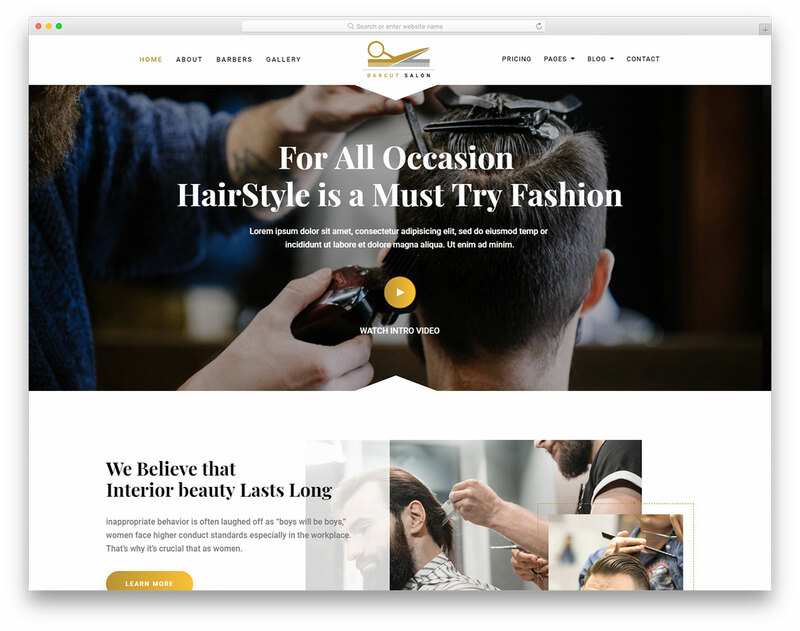 Akame is a versatile and multi-purpose free beauty website template which caters to hair salons ideally. Of course, Akame is easy to use and customize, making it perfect for other beauty niches as well. 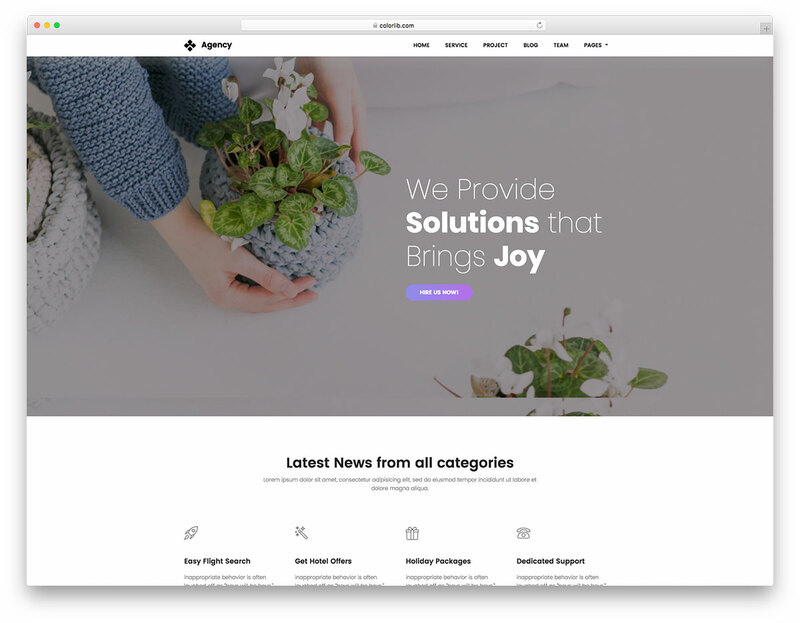 Out of the box, Akame comes with a stunning and minimal web design, killer home page and numerous internal sections that will kick-start your project’s online presence. 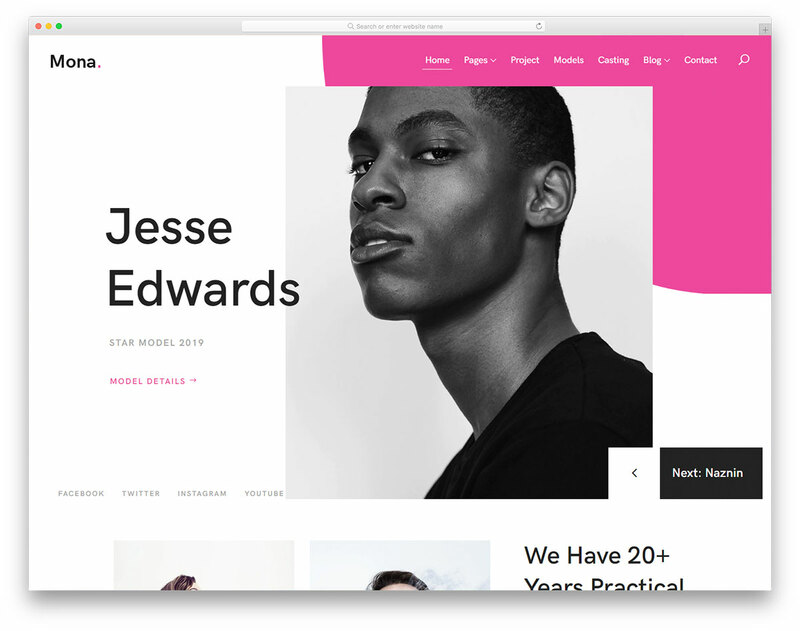 Multi-level drop-down menu, full-width slider, hover effects and filterable portfolio are some of the features of Akame. 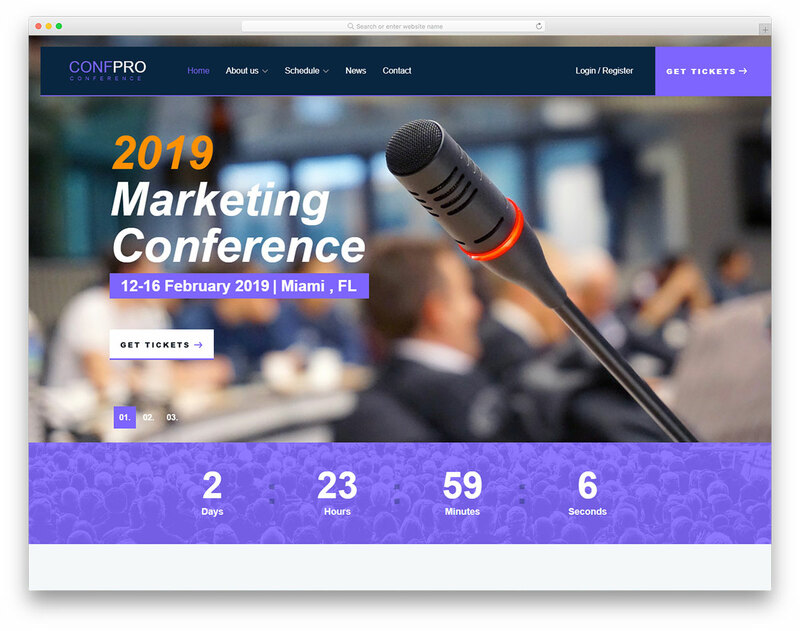 The content loads on scroll, the contact page includes both Google Maps and working form while services section contains pricing plans and beautiful parallax background. 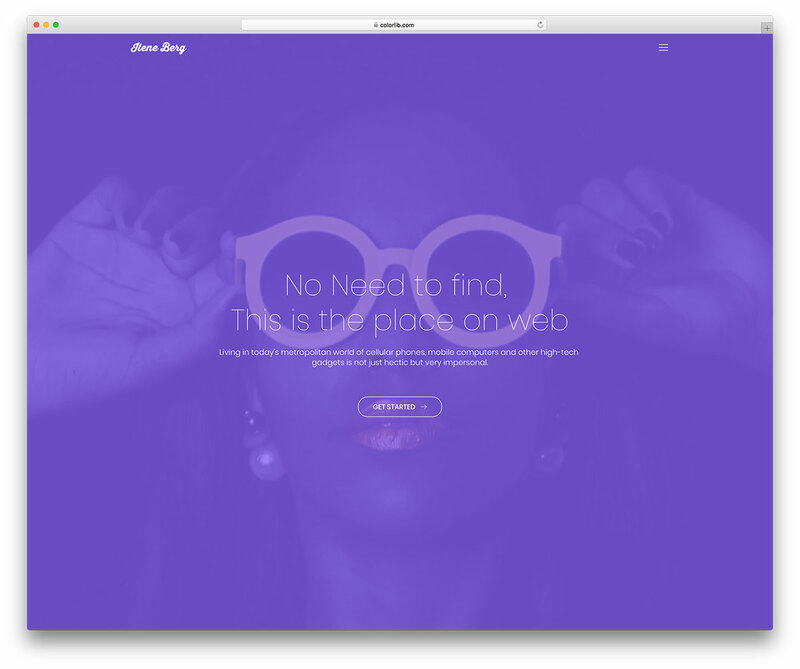 You can also start writing a blog and share helpful tips and tricks and go on a personal level with your clients. 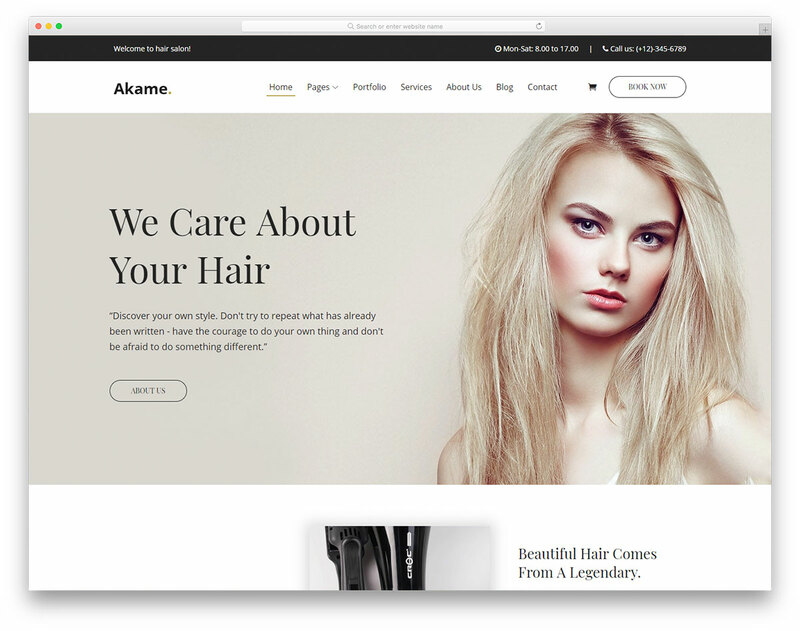 With Akame, your beauty website will appear remarkable on all devices and web browsers, as well as deliver an outstanding experience.